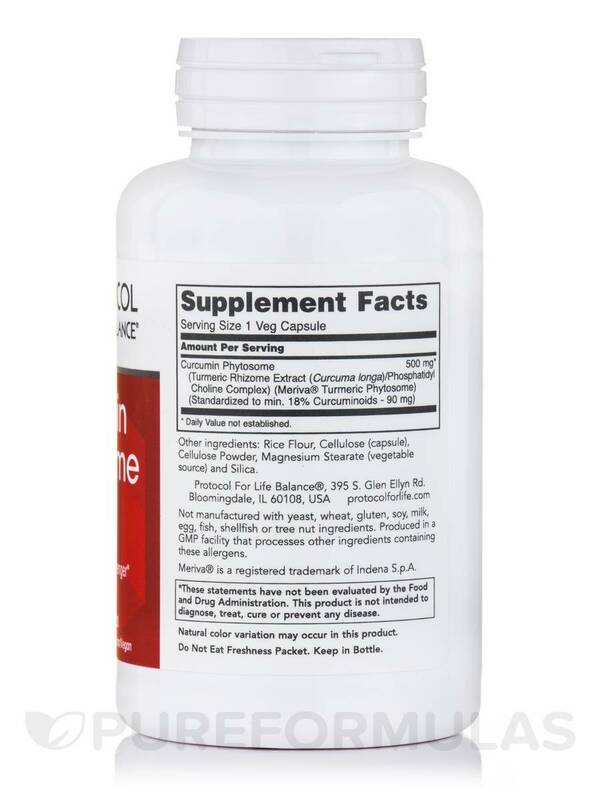 I've been using Curcumin Phytosome by Protocol for Life Balance for a while, it reduces inflammation, supports healthy joints, and eases muscle pain. My doctor recommended this form of curcumin. 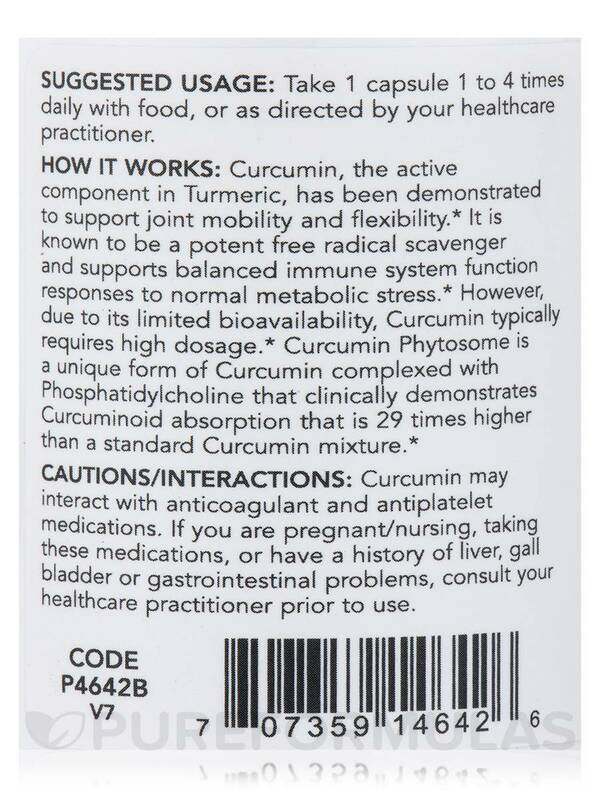 I really like Curcumin Phytosome so far I really feel like its working and doing some good for my system. Do you suffer from inflammation‚ tender joints‚ and decreased mobility? You're not alone. Millions of Americans suffer from some form of an inflammatory condition. As you get older‚ you may naturally lose flexibility and mobility. Inflammation can make it difficult to perform simple tasks‚ such as opening jars. Stiffness‚ pain‚ and a limited range of motion in your joints can make daily activities more difficult and accidents more likely. However‚ there are things you can do to cope with and improve these symptoms. Eating a healthy‚ fresh diet and exercising regularly can help; staying hydrated is also essential. In addition‚ there are potential natural remedies for inflammation and related pain. Turmeric root is a potent herb found in South Asia and long revered for its medicinal properties‚ as well as for its culinary role. This bright-orange root is ground into a fine powder‚ often for use as a spice. It’s powerful antioxidant and anti-inflammatory. Science has isolated curcumin as the active component of turmeric‚ which may support joint mobility and strength. However‚ most of the forms of curcumin on the market lack sufficient bioavailability‚ meaning that your body fails to absorb all of their contents. 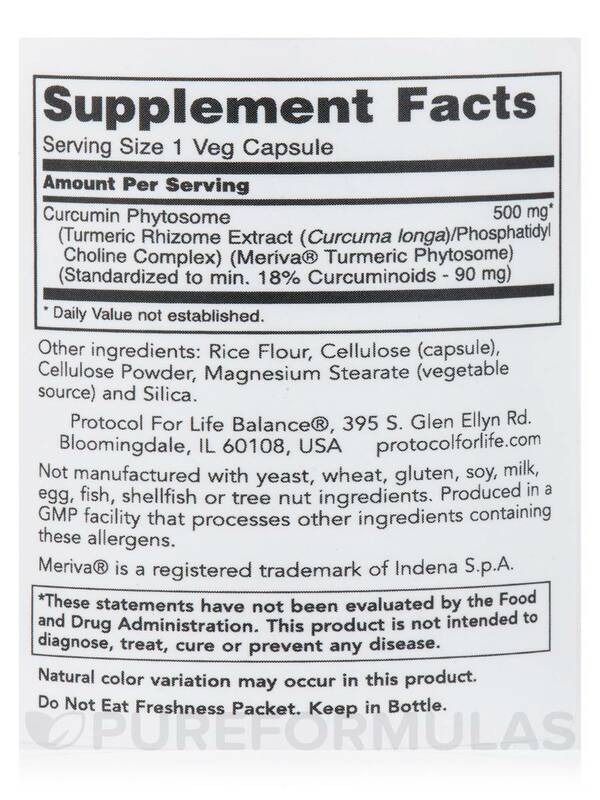 Curcumin Phytosome by Protocol for Life Balance is different‚ due to its unique complex containing phosphatidylcholine‚ an important component in cell membranes. Phosphatidylcholine may increase assimilation and bioavailability‚ ensuring that this powerful ingredient enters your bloodstream in a clinically effective dose. Since curcumin may also help detoxify the liver and support the maintenance of soft tissues‚ it’s less likely to build up in your system. The main ingredient of each vegetarian capsule is 500 mg of Bio-Curcumin Phytosome a patented form of curcumin. 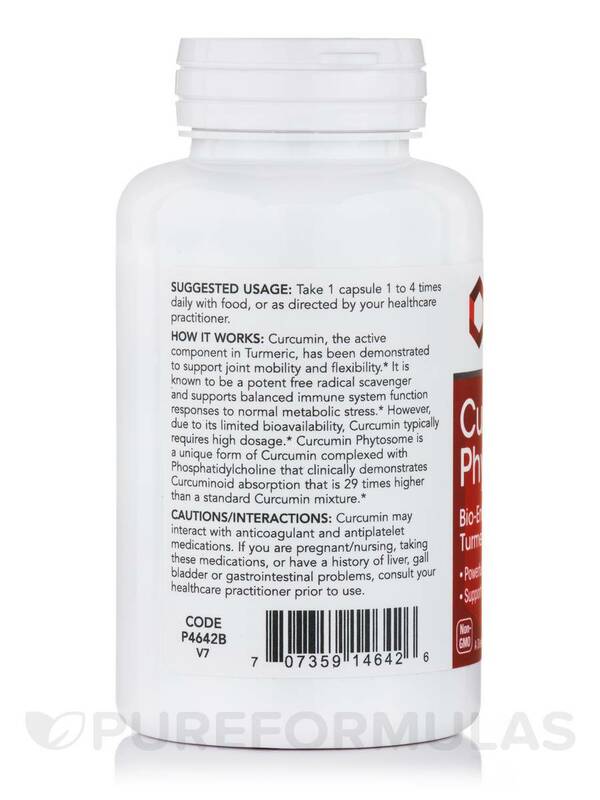 One bottle of Protocol for Life Balance’s Curcumin Phytosome contains 60 capsules‚ which should last between one to two months. The recommended dose is one to two capsules daily. Other Ingredients: Rice flour‚ cellulose (capsule)‚ cellulose powder‚ magnesium stearate (vegetable source) and silica. Non-GMO / Vegetarian / Vegan. Take 1 capsule 1 to 4 times daily with food‚ or as directed by your healthcare practitioner. Curcumin may interact with anticoagulant and antiplatelet medications. If you are pregnant/nursing‚ taking these medications‚ or have a history of liver‚ gall bladder or gastrointestinal problems‚ consult your healthcare practitioner prior to use. The quality and the ease of taking it. 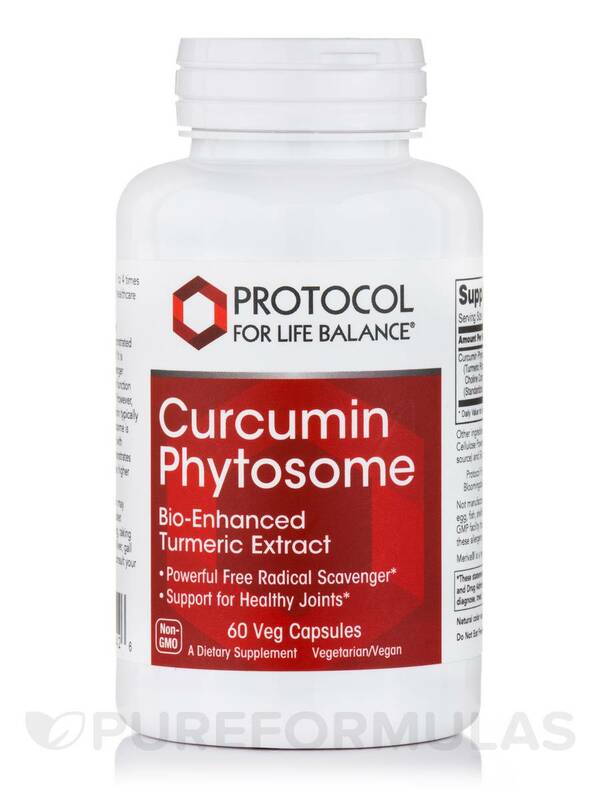 Curcumin Phytosome by Protocol for Life Balance was prescribed to me by a naturopath and it is much cheaper to buy here online than at the naturopathic pharmacy. Hi Amanda, thank you for choosing Pureformulas. This product does not contain any gluten. It is a gluten free product. Have a happy and healthy day!